Description: Also known as Pygmy Date Palm. 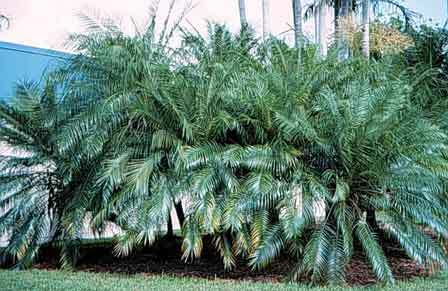 A small, very tough, single trunk, feather leafed palm that is easy to grow in sun or shade. Plants show some variation in size and some are more robust than others.